Fievel Mousekewitz is excited to be coming to America with his parents and two sisters, the the family of Jewish Russian mice is in for a big heartache. 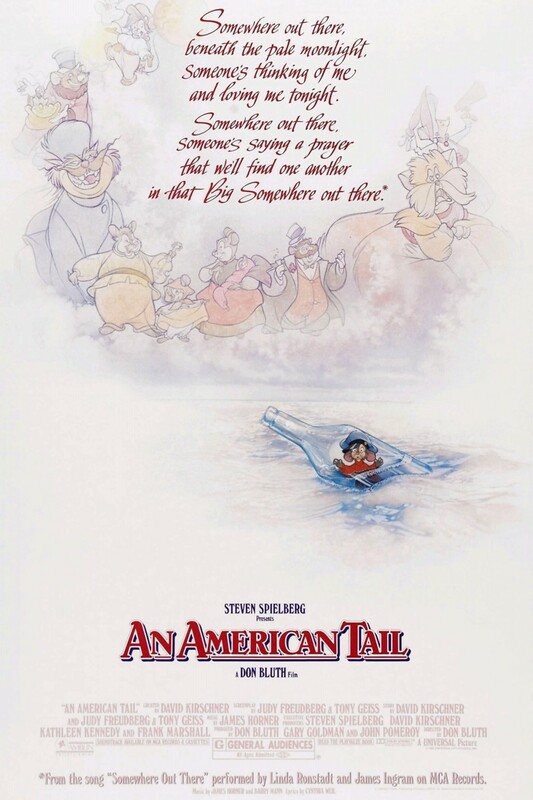 When Fievel's curiosity gets the better of him one night during the journey on board a mighty ship, he falls overboard, and the chances of his ever being reunited with his family seem remote. However, he never loses faith, and neither does his sister, Tanya. They continue to search for each other while they adjust to life in New York City, which is more difficult than they'd imagined. Fievel makes new friends, particularly a gentle cat named Tiger, but he also unearths a dastardly plot that could threaten his parents and every other mouse in the area.